I've told you about my pilgrimage to Bouchon HQ and the best tacos I've ever eaten, but what would a B&B adventure be without a little sweet dessert? It would be the end of the world. Lucky for us, I even ate dessert for breakfast. 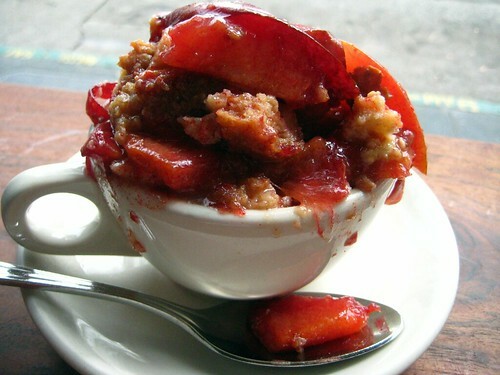 Because bread pudding, by merely adding pudding to its name, is dessert in my world, even when it's dressed up with fruit. Yes, I went back to Tartine repeatedly. 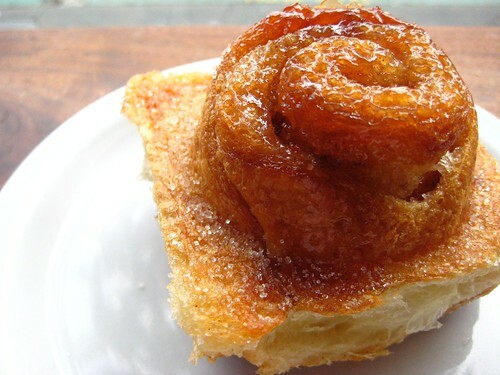 Yes, my love affair with their morning bun has grown stronger. On my first visit, I picked up a cup of breakfast bread pudding. Fruit is sustenance and all that. This spongy pudding topped with fresh fruit should be the breakfast of champions. On another visit, I was wise enough to "borrow" a car to pick up some breakfast goodies. Having spied their dessert treats repeatedly by that point, I couldn't resist their siren call any longer. In addition to the morning bun, chocolate croissant, and bread pudding, I purchased one slice of Bavarian Cream Cake to go. While the cake part was just alright, the cream was OUTSTANDING, creamy, fluffy and light, not too sweet, and the perfect amount of vanilla. I ate it for breakfast-it's a dairy! There was fruit! 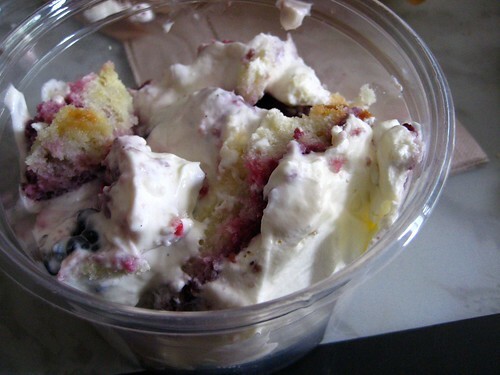 Now, I had hoped this would be a trip of ice cream; alas, the best laid schemes often go awry. 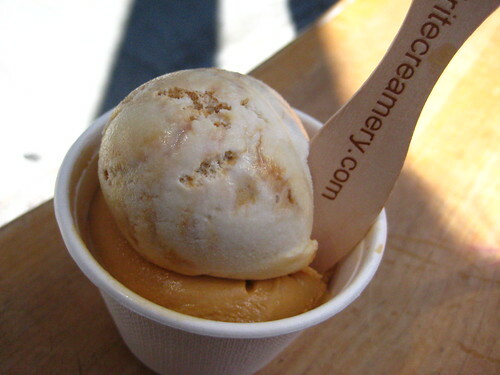 I only hit up one of the many on my list, Bi-Rite Creamery for their Salted Caramel. I got mine with a top scoop of Brown Sugar with a Ginger Caramel Swirl. Sweet caramel mixed with saltiness and everything gets sweeter. This is the ice cream cup of 5 year old Blondie's dreams. The ginger swirled in gave it a nice little kick too. Brownie, I'll be back in November and you know you want to go! I live in SF and those are two of my all time faves! Did you know you can buy pints of Salted Caramel - it's dangerous!